NOTE: Ideally, one should meet with a rabbi in person to arrange for the sale of one's chometz. 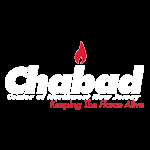 For those that can't meet a rabbi in person, we offer the option of selling your chometz online with this form. As we may not own any chametz (leaven) on Passover, it is customary to sell all chametz before Pesach and buy it back as soon as the holiday ends. All chametz and chametz utensils are to be placed in closets or rooms that are locked/sealed shut throughout the holiday. Since the sale must be legally binding according to both Jewish and civil law, we empower a rabbi to act as our agent. The rabbi sells the chometz before Passover starts (on Friday, April 19 at 11:49 am) and buys it back the evening after Passover (April 27). We do not accept responsibility for forms received after April 18. IMPORTANT: IF YOU WILL BE SPENDING PESACH OUTSIDE OF THE EASTERN UNITED STATES, YOU MUST FOLLOW THIS LINK TO SELL YOUR CHAMETZ. hereby authorize Rabbi Asher Herson to dispose of all chometz that may be in my possession wherever it may be - at home, in my place of business, or elsewhere - in accordance with the requirements of Jewish Law as incorporated in the special contract for the sale of chometz.